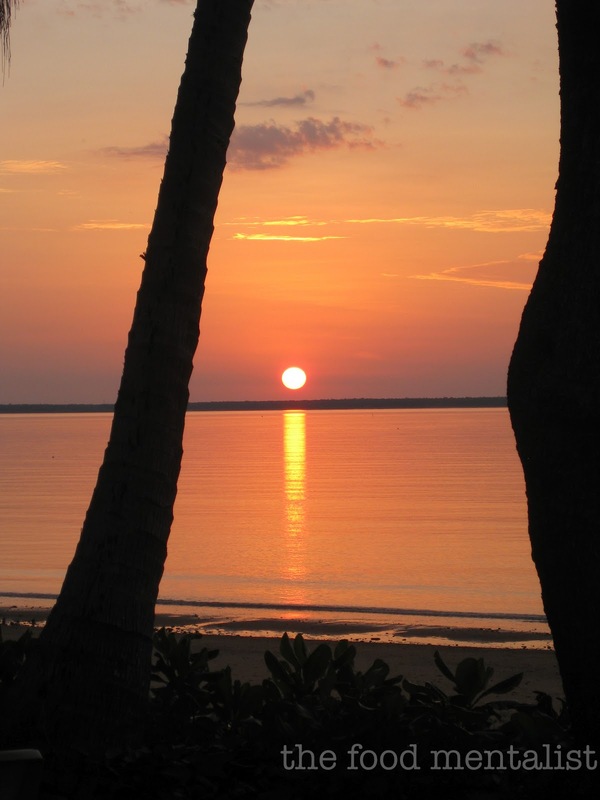 This week's edition of Cider Sunday comes to you from Darwin. It's my fourth trip within the last 8 or so months and I'm now starting to feel like a local. Darwin has the perfect climate for cider drinking - it's hot and humid. Pipsqueak Best Cider is made by the Little Creatures Brewing in Victoria, which is actually an off shoot of the original brewery located in Fremantle, Perth. Pete & I actually visited Little Creatures in Fremantle about 2 years ago. It's a funky old boat shed located on the water in what is affectionately called 'Freo'. It also has a restaurant & bar which serves up some great pub style meals including mussels and pizza. Onto the Pipsqueak Cider - Well, this week is just a teaser because I had to travel up here at the last minute and didn't get a chance to actually taste Pipsqueak. 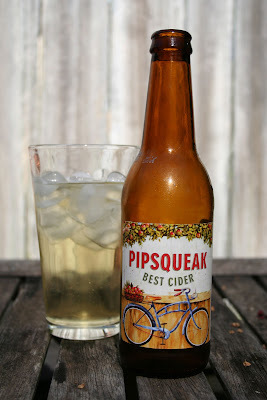 However, I will review Pipsqueak in a double feature of next week's Cider Sunday post. Instead, I wanted to share some of my food adventures from Darwin. 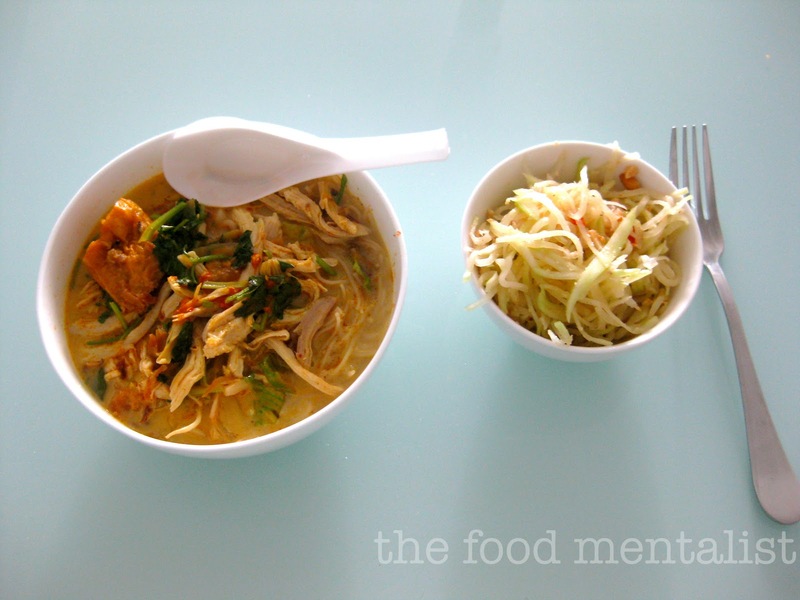 I sampled this delicious chicken laksa and paw paw salad on my last trip to Darwin at the Parap Markets held every weekend here in Darwin. There are many stalls with various wares, but the main attraction ( for me anyway) is the amazing food stalls. There are fresh fruit & vegetables featuring many exotic fruits, fruit shakes, snow ice, laksa and other nonya inspired food stalls. 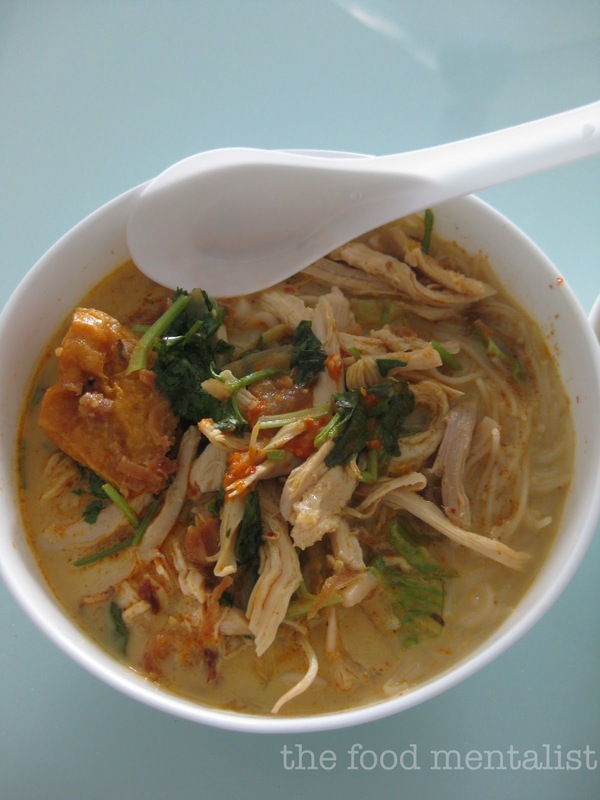 This laksa was absolutely delicious, it had tender pieces of shredded chicken breast, chunks of fried tofu, lots of spice and a wonderful balance of flavours. Actually, it's one of the best I have ever had. I only wish Pete was here to see if he agreed, he likes to think of himself as a laksa and pho connoisseur. 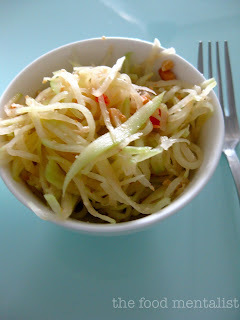 The paw paw salad was lovely and fresh with just the right amount of chilli. Yum! Some of you may remember I went croc jumping on the Adelaide River the last time I visited up here. 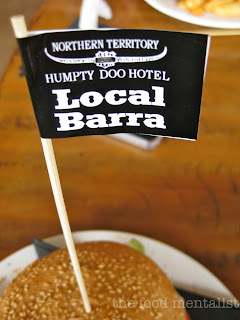 On the way back home we stopped at the Humpty Doo Hotel - A pub in the middle of nowhere on the road to Kakadu. 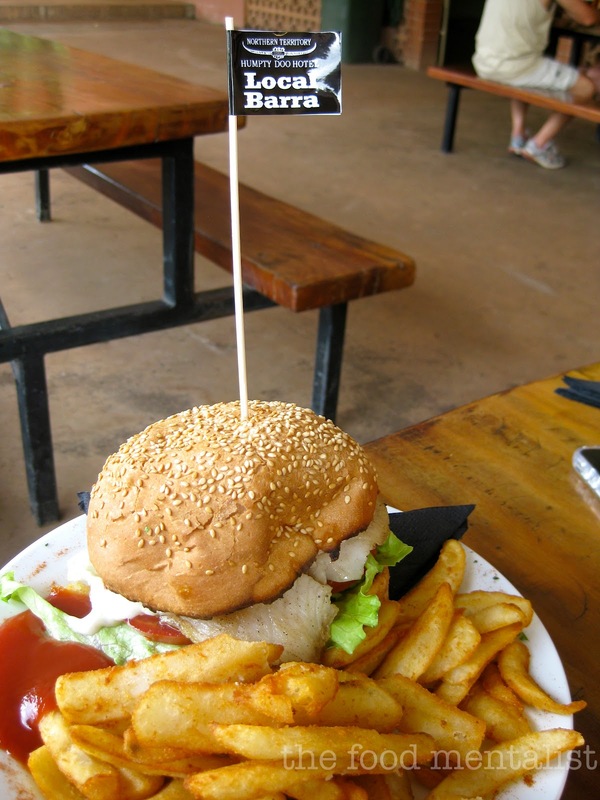 I had this delicious barramundi burger & chips. The chips were super crunchy and the fish which was locally caught just melted in the mouth - it was a great all round burger. I think I enjoyed it so much as I had just survived croc jumping - an experience I was quite apprehensive about beforehand. If you ever visit the top end, make sure you venture out and book yourself a croc jumping tour. Oh, and make sure you stop at the Humpty Doo on the way home and sample of of their delicious burgers. I was just telling friends last night how much I love the fruit further up north. They get such interesting varieties don't they! :D Love that sunset photo! Lorraine, I totally agree re exotic fruits up north. The fruit and vegetables markets in Cairns are my favourite! Adrian, the burger was so delicious. I am actually craving one right now. Happy to hear you like Pipsqueak cider.